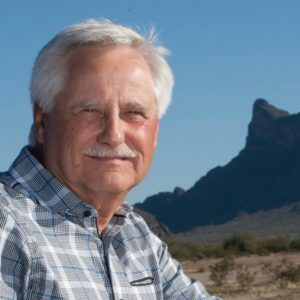 Vince Leach, a person regarded as a reactionary anti-democratic zealot in most state Democratic party circles, has been conveying blatantly false information about his opponent in the race for the LD 11 Senate seat, Ralph Atchue, lying about his positions on border security and taxes on television commercials on CNN and Fox. Mr. Atchue reached out to fight back against the lies being spread by Leach. Below are his comments. Before voting, voters should studiously research all the candidates to ascertain whom they feel would be the best fit for the district, city, state, or nation. Fact checking a candidate’s ads should also be part of that research. If a candidate for office, like Mr. Leach, is lying, they have clearly demonstrated that they lack the character to serve the public. For more information on both Mr. Atchue and Mr. Leach, please review the links below. Also research on other reliable objective sites like Ballotpedia and https://votesmart.org/. A well-informed voter that turns out and votes make our state and country a better-governed nation. Can someone write a reaction to this as a letter to the editor to the Explorer up in Oro Valley? tucsoneditor@tucsonlocalmedia.com I can’t, I already wrote one last week. Get this message out! Go Ralph!